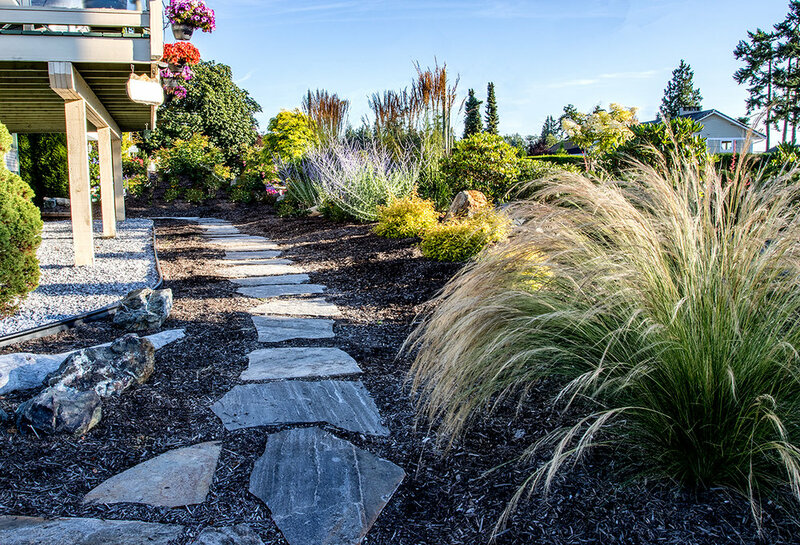 This elevated garden was seriously overgrown and the clients wanted something they could more easily maintain. 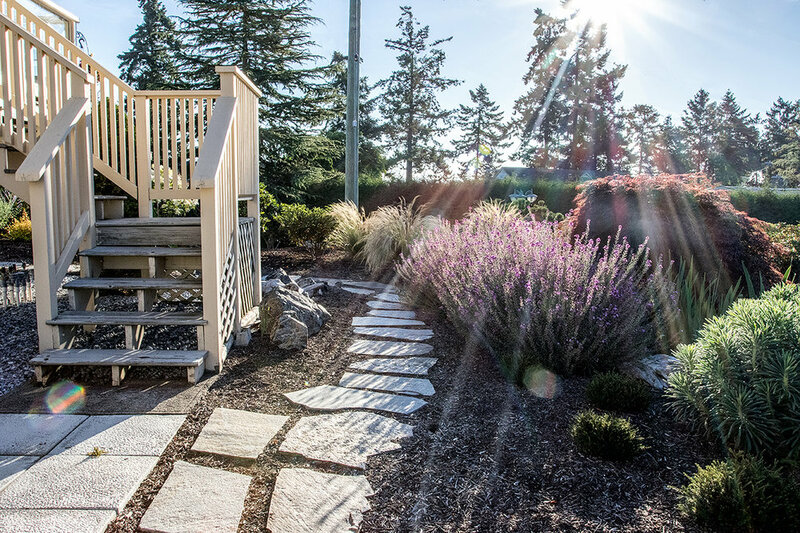 We excavated the whole space, installed updated irrigation, and re-designed it with walking path, patio and new planting. 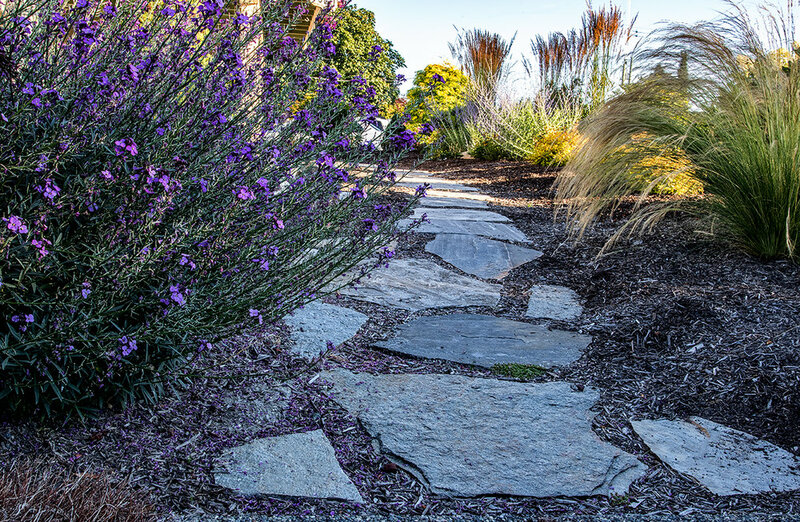 Pearly white flagstone provides a perfect strolling path through the garden and around the house. 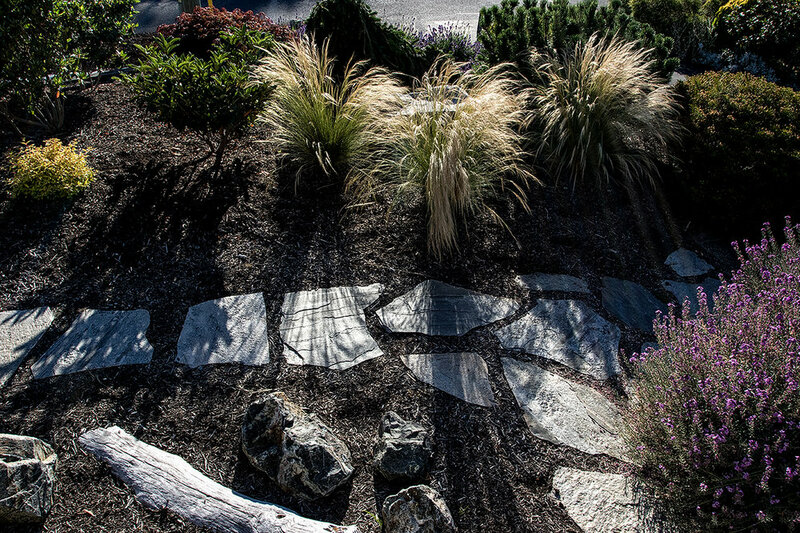 Granite accent boulders and beach wood give it a simplified West-coast feel. Purple is the favourite colour of this client. Lavenders, Russian sage, iris, and wallflowers continuously provide purple throughout the seasons. The movement of the grasses provide another layer of sensation. 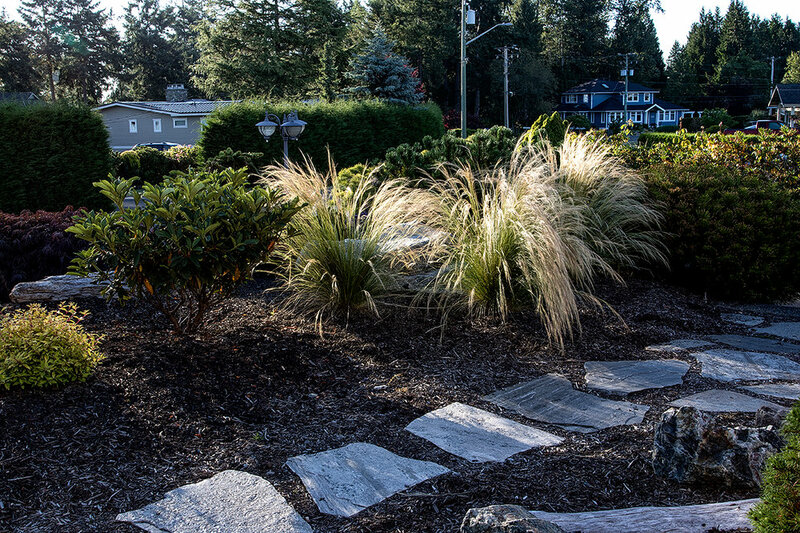 These graceful grasses, highlighted by the morning sun, are intentionally situated based on the sun orientation of this garden.